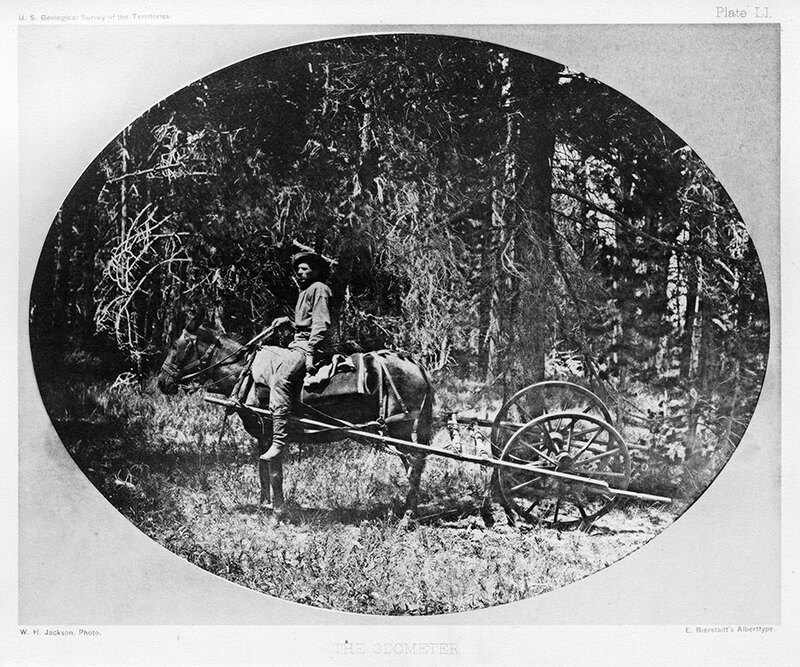 The popular exhibition Yellowstone Discovered: William Henry Jackson’s Lost Prints Reveal the Park for America is once again on display at the Buffalo Bill Center of the West. First installed on March 21, 2016, these rare images of Yellowstone depict a park that has changed little—or a great deal—depending on the viewer’s perspective. The Buffalo Bill Center of the West is pleased to announce that its exhibition, Yellowstone Discovered: William Henry Jackson’s Lost Prints Reveal the Park for America is once again on display. as its own celebration of the National Park Service’s Centennial in 2016. 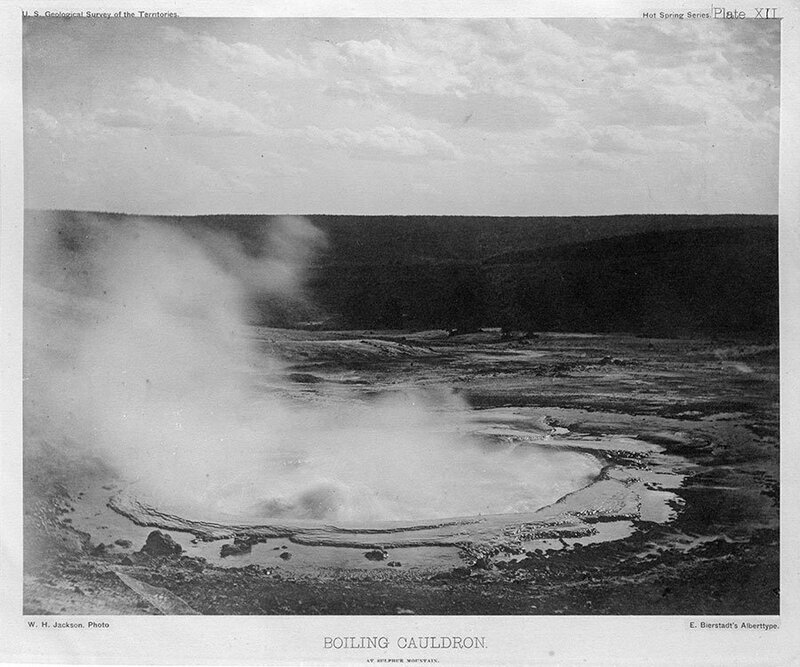 It features a selection of rare Albertype photographs of Yellowstone in the days before it became a national park. 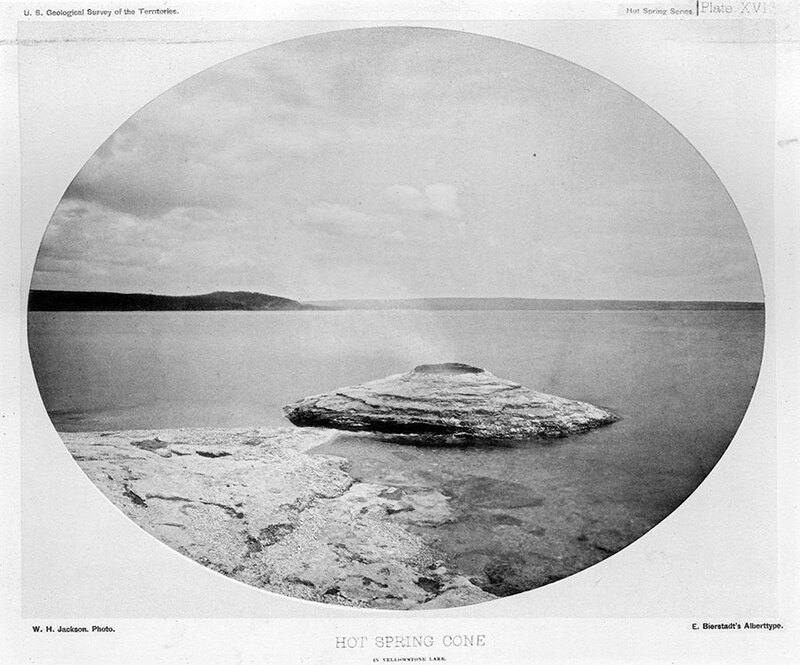 Photographer William Henry Jackson captured the area’s spectacular landscapes and geologic wonders while traveling with the 1871 geological survey of the area led by Ferdinand V. Hayden. Jackson returned from the West with a marvelous set of glass plate negatives and produced a limited number of albums of beautiful, mounted photographs. They were, however, time-consuming, making it difficult to publish the high-quality photographs for the general public. Albertypes—prints produced from a gelatin-coated glass plate—seemed to offer the answer. The process made it possible to mass produce the images, and from Hayden’s perspective, would promote the Park’s unique attractions. Enter one Edward Bierstadt, brother of noted western artist Albert Bierstadt, who created superb Albertypes (named for J. Albert of Munich in 1868) in his New York studio using Jackson’s original negatives. A publishing project in several volumes was in the works when, disastrously, an 1875 fire at the Bierstadt studio destroyed the Jackson/Bierstadt Albertypes, along with Jackson’s glass plate negatives and contact prints. 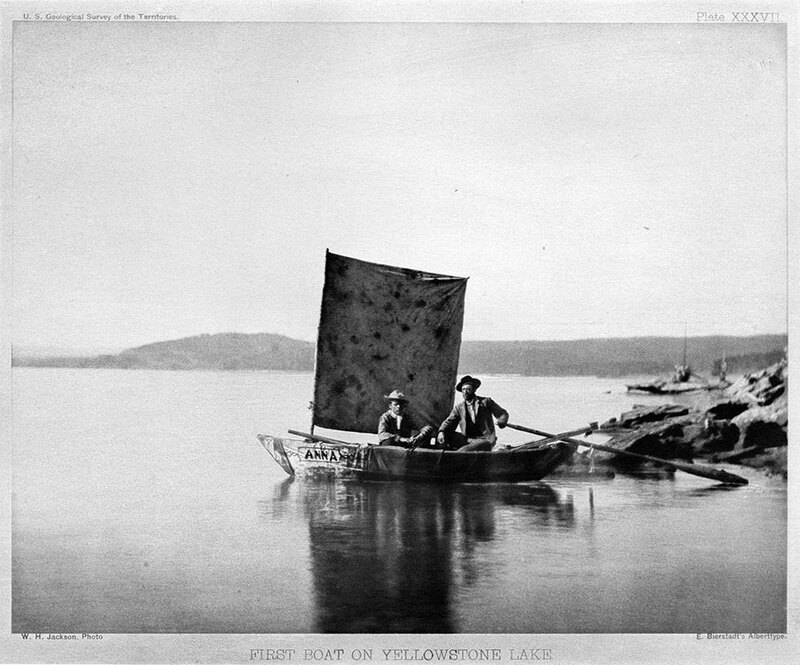 Consequently, the planned survey volume that focused on Yellowstone was never published. The surviving Albertypes were lost to history—except four sets of proofs that had already been printed. Today, there is only one complete set known to exist: an album loaned from collector Dr. Robert Enteen. The McCracken Research Library staff crafted the exhibition using Enteen’s album. The exhibition was supported in part by a grant from the Wyoming Arts Council. To learn more about the McCracken Research Library, visit its webpage at centerofthewest.org/research/mccracken-research-library. Contact: Mary Robinson at [email protected] or call at 307-578-4063.